The Flying Lizard Motorsports Porsche will be driven at Le Mans next month by Johannes van Overbeek, Seth Neiman and Patrick Long. Neiman and van Overbeek formed two-thirds of the squad that performed so well last year, bring the team’s Porsche home third in GT2. Lonnie Pechnik raced the car in France in 2005, but Pat Long, having briefly lost his spot in the Petersen-White Lightning car, moves across to the Lizards’ entry this time. Long has raced for the Flying Lizard Motorsports team before – at the 2005 Rolex 24, where he set the fastest lap in the GT class. The Flying Lizard squad’s #80 Porsche 911 GT3-RSR will be sponsored by PortalPlayer, a San Jose, Calif-based technology company. PortalPlayer is a leading supplier of semiconductor, firmware and software solutions for personal media players and secondary display-enabled notebook computers. "We are honored to be able to return to Le Mans again this year," said Seth Neiman. "It was an incredible experience to be part of such an historic race last year." The timing of the 24 hours is such that the team heads to Europe after its first GT2 win of the ALMS season – at Mid-Ohio on May 21. The team is currently atop the ALMS GT2 teams’ championship, and Johannes van Overbeek leads the drivers’ championship. "Driving at Le Mans last year was a life-defining experience," said van Overbeek. “The length of the straights, the speed, the beauty of the track, the whole atmosphere--it's something you just can't experience anywhere else in the world. Having Patrick with us will definitely be a plus--he pushes hard, all of the time, but still keeps things fun. The only problem will be that I'm almost a foot taller than both Seth and Patrick--good thing we have an adjustable seat in the Porsche." 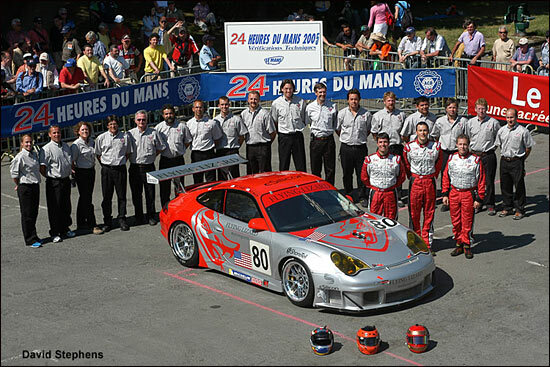 Lizard crew chief Tommy Sadler added, "In 2005, we showed we had what it took to compete successfully at Le Mans. This year, we have to build on that success and do even more. The durability and reliability that Porsche brings to the table are big assets in this type of a race. In 24 hours, nearly everything can (and often does) happen, and you have to be prepared for it all." 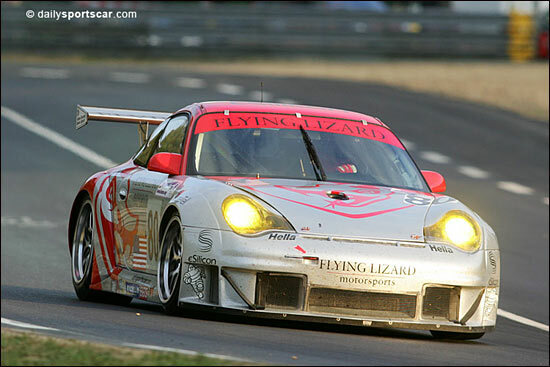 The Lizards’ 2005 Le Mans adventure was a great story: no doubt 2006 will provide another instalment in the still-brief history of this ambitious American team.